Met Chief Librarian Kenneth Soehner, Marlene Taschen, Met Curator of South and Southeast Asian Art John Guy, and Thomas Laird. Thomas Laird introducing the scholarly companion book. 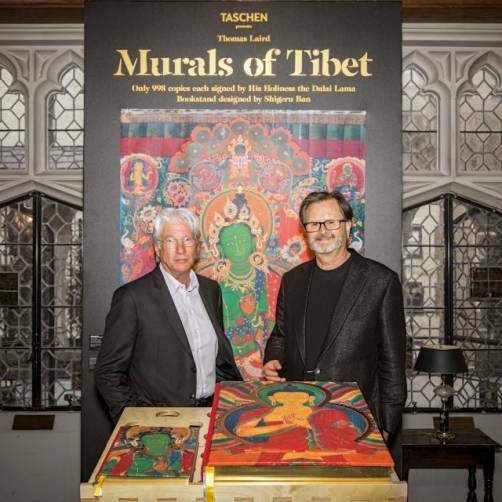 On Sunday April 29, TASCHEN was honored to present Murals of Tibet at the Metropolitan Museum of Art. 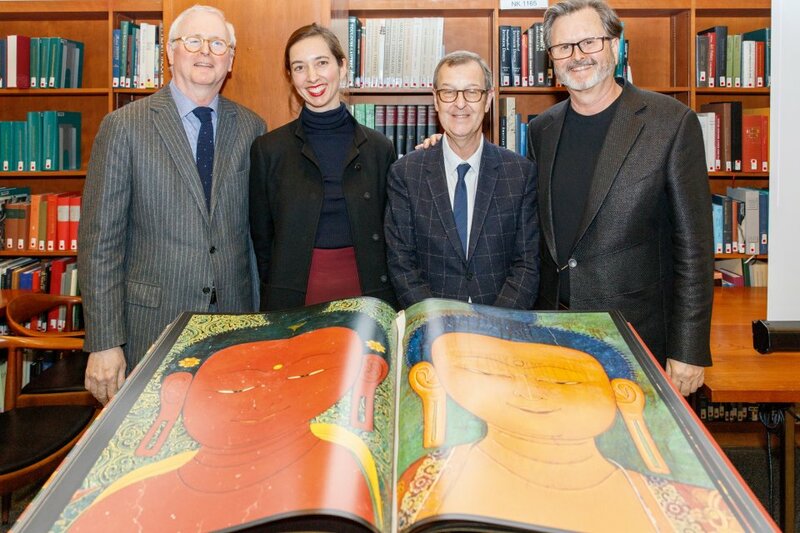 In an intimate talk, the Met’s Chief Librarian Kenneth Soehner, Curator of South and Southeast Asian Art John Guy, and photographer Thomas Laird introduced the project and outlined its importance to the study, appreciation, and conservation of Tibetan art and culture. 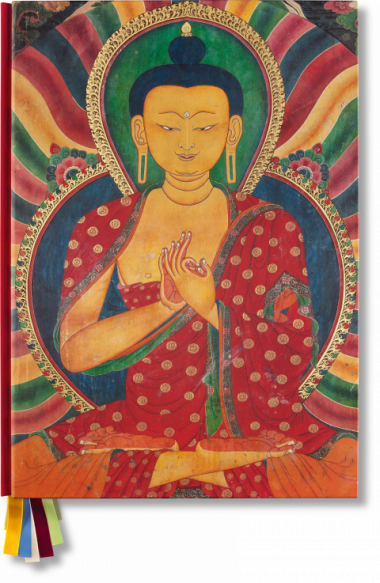 Murals of Tibet represents the world’s first archive of these Buddhist artworks, with some walls as wide as 10 meters, in life-size resolution. Signed by His Holiness the 14th Dalai Lama, the SUMO is now part of the Met’s permanent collection. Kenneth Soehner (left) and Thomas Laird. The scholarly companion book to the SUMO sheds light on the story lines and artistic context of each image. Marlene Taschen and a guest. A guest observes details from the SUMO. 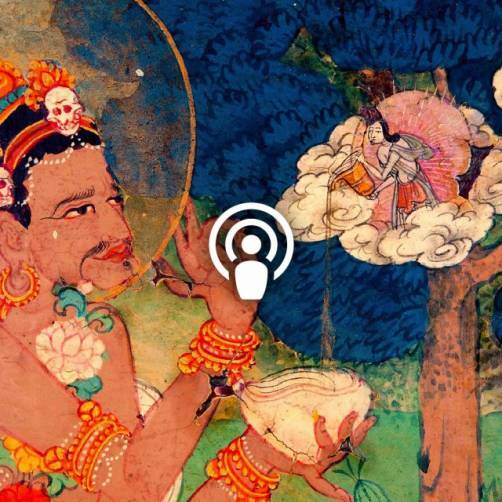 Teasers introducing Murals of Tibet, ready for guests to take home.